No, it’s a drone. Also known as an unmanned aerial vehicle (UAV) or unmanned aircraft (UA). And, technically, they’ve been around a long time, since at least 1849 when the Austrians attacked Italy with unmanned balloons loaded with explosives. 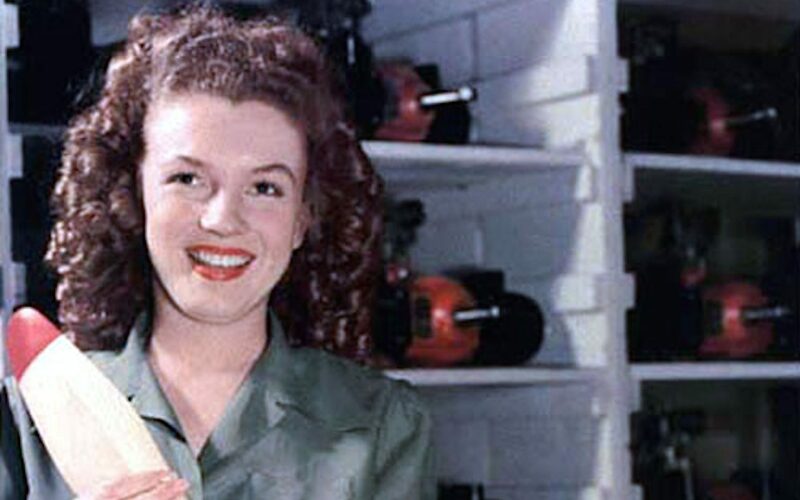 Even a young Marilyn Monroe, when she was known simply as “Norma Jean,” worked at a company called Radioplane making unmanned aircrafts during World War II. Since then, as technology has advanced, which, in turn, has made the cost of older technology go down, what was once old, is now new again. Drones are making regular appearances in the movies (think the Divergent Series: Allegiant). The paparazzi (who are apparently tired of getting punched in the face) are using them. And some day, perhaps very soon, they may just be delivering your packages (think Amazon Prime Air). The FAA missed its deadline. However, on June 21, 2016, the FAA released its Small Unmanned Aircraft Systems (“Small UAS”) regulations (14 C.F.R. Part 107) which went into effect late this month on August 29, 2016. Unmanned aircraft must weigh less than 55 lbs. and be registration. A link to the registration site can be found here. Regulations do not apply to model aircraft flown for hobby or recreational purposes. A remote pilot in command must hold either a remote pilot certificate with a small UAS rating or be under the direct supervision of a person who holds a remote pilot certificate. To qualify for a remote pilot certificate a person must either pass an initial aeronautical knowledge test at an FAA-approved knowledge testing center or hold a part 61 pilot certificate other than student pilot, complete a flight review within the previous 24 months, and complete a small UAS online training course provided by the FAA. Part 61 certificate holders may obtain a temporary remote pilot certificate immediately upon submission of their application for a permanent certificate. Other applicants will obtain a temporary remote pilot certificate upon successful completion of TSA security vetting. Unmanned aircraft must remain within the visual line of sight of the remote pilot in command and person manipulating the flight controls. Unmanned aircraft may not operate over any person not directly participating in the operation and may not be operated under a covered structure or inside a covered stationary vehicle. Unmanned aircraft may only be operated during daylight, or civil twilight (30 minutes before official sunrise to 30 minutes after official sunset, local time) with anti-collision lighting. Unmanned aircraft must yield right of way to other aircraft. Unmanned aircraft may not travel faster than 100 mph and may not fly higher than 400 feet above ground level or, if higher than 400 feet, remain within 400 feet of a structure. There must be minimum weather visibility of 3 miles from the control station. Operations in Class B, C, D and E airspace is allowed with air traffic control permission. Operations in Class G airspace is allowed without air traffic control permission. Unmanned aircraft may not be operated from a moving aircraft. Unmanned aircraft may not be operated from a moving vehicle unless the operation is over a sparsely populated area. Unmanned aircraft may not be operated carelessly or recklessly and may not carry hazardous materials. Many of the restrictions above are waivable if an applicant can demonstrate that his or her operations can be safely conducted. A link to the waiver form can be found here. So there you go. Happy flying.